Paloma Faith (vcl); Naomi Miller, Sabrina Ramikie (backing vcls); Guy Barker (MD) + 42 piece orchestra. Anyone expecting to hear the jazz trumpet of Guy Barker would be disappointed. Guy's role tonight was that of MD and arranger - a job done brilliantly. Those who came to hear a sensational soul/jazz/rock singer strutting her stuff, and I guess the three tier full Hall One were there for just that, most certainly weren't - disappointed that is. From the moment La Paloma made her entrance looking ravishingly gorgeous in a slinky, figure-hugging gown slit tantalisingly high at the back (another inch and...) to the final encore the audience were her slaves. LAST DAYS - LIVE Vortex, filmed for the BBC/Arts Council of England last year in the Vortex jazz club London, goes off-air at midnight 31 October UK time. We’ve had a great run, since July 2012 but it’s coming to end. So wherever you are in the world, if you haven’t had a look yet – its free, online and on demand: 14 episodes of concert footage, plus archive and interviews. Chris Bridges (tmb); Keith Phillips (gtr); Dave Tompkins (bs); Hugh Lawrence (dms). A contemporary modern group based in the Manchester area, Cusp, incredibly manage to marry lyricism and the occasional burst of musical anarchy without causing offence. This is due mainly to Bridges whose trombone playing retains a degree of musical sanity even when the shot and shell are flying! The trombone is relatively rare in contemporary small groups which is a blessing when you think of the mayhem that could be caused had some loose canon been operating the slide! Fortunately, Bridges has a strong melodic flare to his playing that, coupled with a full round tone, makes him a delight to listen to. A fall has resulted in Frank Brooker being unable to appear with his Happy Chappies at Darlington New Orleans Jazz Club this Saturday. A replacement saxist has not yet been named. The Central Bar, Gateshead, 1:30 pm. Sunderland versus Newcastle United on satellite television. A rare sighting of cask Double Maxim on the bar, pint ordered, keenly aware of the delicious irony of a Wearside beer being available on Tyneside on this of all days. Howay the Lads! Toon! Toon! Corky Hale: "Mel (Tormé) is probably the most talented of all the singers and I think that the only reason he didn't make it as big as Sinatra is that he is somewhat difficult to get along with." - (Jazz Journal September 1997). Just to let you know that Hexham Jazz Club will be back in December for our monthly treats of live music from bands around Hexham and surrounding areas. We're going to move from Thursday nights to WEDNESDAYS, and will still be in the Café. So the next gig will be our good friends, the HJQ (Hexham Jazz Quartet (or Quintet)) - fingers crossed - on Wed December 11. We'll be having the jam as usual. In the meantime, next Friday there is an interesting trio coming to the Queens Hall : Preston/ Glasgow/ Lowe. Book via the box office for this. Zoe Gilby, a rising start of the British jazz scene, presents her eagerly awaited third album ‘Twelve Stories’ at the Dacre Hall, Lanercost. Rising star Zoe Gilby brings her versatile jazz vocals and her outstanding band to the Dacre Hall, Lanercost on December 7th at 7.30pm as she embarks upon the launch tour for her new album, the third to date, Twelve Stories. Having played the Koktebel Jazz Festival, Ukraine and the Feng Qing Ju Zhou International Jazz Festival in Changsha City, China Zoe returns to the UK for her Twelve Stories launch tour. The tour takes in the cities of Newcastle, Manchester, Norwich, London and Bristol so it’s a real honour to have Zoe and her band play in Lanercost. Three years since his stunning début at Gateshead International Jazz Festival, Arun Ghosh brings his trademark IndoJazz sound back to the Sage Gateshead, featuring the MOBO Award winning pianist, Zoe Rahman. The British-Asian clarinettist and composer has become a leading light on both the national and international jazz scene, captivating audiences and critics with his passionate and dynamic performance style, eloquent musical expression and a healthy dose of rock 'n' roll spirit. On Friday (Nov. 1), the Arun Ghosh Sextet will be performing Ghosh's IndoJazz chamber work, the recently recorded A South Asian Suite. This mesmeric and enchanting six movement suite is inspired by the music, landscape and peoples of Nepal, Pakistan, India, Bangladesh and Sri Lanka, as seen from the viewpoint of a British-Asian from a Northern town. Pieces from Ghosh's acclaimed albums Northern Namaste and Primal Odyssey, plus euphoric live favourites comprise the second half. A few weeks ago in the 'Jazz Alert' I expressed my shock at hearing that the Arts Council had rejected Jazz North East's most recent funding application. The result of that rejection is that JNE and their partners Schmazz will run completely out of funds by the end of December, and will be unable to continue their promotion activities. Unless you come to their aid . . .
To try and keep themselves going for the first half of next year, while they work on securing more reliable funding, JNE have set up a Crowd Funding appeal, encouraging audiences and musicians to contribute. You can find the appeal at <http://www.indiegogo.com/projects/2014-programming-fund/x/5120454>. Verve - The Sound of America. Read this review of a new book on Norman Granz and Verve Records in today's Observer newspaper. VERVE - The Sound of America by Richard Havers (Foreword by Herbie Hancock) published by Thames and Hudson is a 400 page saga of Norman Granz and the company he founded Verve Records. It's available from W.H.Smith, Amazon and all good book stores. Thanks to Miles Watson for drawing this review to my attention. The on-line review also includes a link to Ella singing Love For Sale. The second set started with the trio of piano, bass and drums introducing Tenor Madness from Jeff Smith… this was complemented by a lovely piano solo. Lindsay’s opening song of this set, All of Me, saw an interesting exchange between drums and double bass, and, not to be left out, the sax played a beautiful and haunting solo in the next song – Body and Soul. The Boy from Ipanema was just lovely with an exquisite solo from Chris Finch. A lively arrangement of Four, brought an exchange of fours among the band, and the final song of this set saw James Harrison guest on Piano to perform an outstanding version of Blue Monk with Lindsay and the remainder of the Quartet. I entered to see lots of people eating deliciously at small square tables, but there were seats at the front for those who only wanted to listen. A lively atmosphere with pleasant food smells and a younger audience than at many jazz gigs. The band began with three instrumentals, an angular tune - Work Song; Beautiful Love; and Alice In Wonderland. Jeff was in fine soloing fettle, there was a drum and bass section in the second tune, and Chris played lovely lyrical keys, as we've come to expect. Kyoko Oyobe could be the new Marian McPartland - not that there ever could be another Marian Mac but if there was this Japanese lady could be it. Oyobe has that lovely delicate flow that women jazz pianists are so adept at - I know that is sexist but I hope I'm excused as her playing is just so beautiful. The rhythms and the harmonies are totally absorbing and yet, when the going get's into a heavier groove she discards the kimono, pulls on her jeans and sweatshirt and kicks! The mood varies, the jeans are replaced with the slinky gown and you know she's playing a song about love. Bassist Saleem performs as if he too is in love. It's one of those discs where love is the dominating factor. Wednesday Morning is so romantic, one wonders about Tuesday night! Having attended an event at Sage Gateshead, it was unseasonably mild as I strolled across the High Level Bridge to Central Station in time to catch the 19:03 train to Darlington. The Opus 4 Jazz Club at the Traveller’s Rest in Cockerton, Darlington had secured a return visit by Vasilis Xenopoulos. It was the Greek tenor player’s sole engagement in the north east this year making it a ‘must get to’ gig. Central Station was crowded, more so than usual. Trains were going nowhere fast, at a standstill at platforms, stationary on the King Edward Bridge. Down the East Coast mainline at Chester le Street there was an ongoing trespass incident. Don’t you realise this is Friday rush hour? Don’t you realise there is soon to be some great tenor being played in Darlington? One wag said: Run the b****** over! The annual Radio 3 Free Thinking Festival at Sage Gateshead began with In Tune, Sean Rafferty’s weekday programme of convivial conversation and diverse musical offerings. Novelists Lionel Shriver and Michael Chaplin had books to plug, New Generation Artist Kittie Whateley had songs to sing, bearded thinker John Gallagher thought and Eyes Shut Tight had much jazz to play. Well it's almost here again, only a week to go. The Whitley Bay Jazz Party that was, for twenty years, known as the Whitley Bay Jazz Festival, returns next weekend. Welcome back! But, sadly, without its creator Mike Durham. Without Mike this incredible event that has brought jazz musicians and enthusiasts from across the globe wouldn't have existed. The fact that so many people have returned year after year is proof that he got it right. This year, he isn't here to "Get it right" but, family, friends and fans are, and maybe, Mike is offering gentle guidance from above.... Patti Durham, Allan and the others involved have certainly done their bit and, looking at the program, tell me of a better jazz weekend! Highlights are many but, to have,arguably, the worlds two greatest jazz vocalists in Shiremoor on the same weekend? Eat your heart out London, New York, Paris, Rome and anywhere else! Yes Daryl Sherman and Cécile McLorin Salvant are with us over the three days. Of course there are many many other great musicians like Jeff and Anne Barnhart, Spats Langham and, OMG, just about every musician in Europe who knows the truth. If you like jazz - this is the place! Hey Patti, are there any tickets left? Had a cataract operation today. As they wheeled me into theatre my past life was flashing past me and I tried to remember what came after "Our Father..." then, would you believe it but they had an Ella Fitzgerald disc playing in the background?! I've never listened so intently to a record in my life but it worked - the op was a doddle! (Review by Russell/photo by Ken Drew). Gateshead’s Central Bar hosted the debut performance of Shiver. Two Gateshead lads, mates since school days, have been working hard with drummer Joost Hendrickx on their new sound. What to expect? Elements of Spelk and trio VD? The obvious parallels are there – the trio format, the chimerical Sharkey, the driven, focused Champion. Drummer Hendrickx, of the new wave with astounding technique, would surely bring something to the table. The keen and the curious filled the upstairs room of the Head of Steam's Gateshead hostelry . Signed, limited edition CDs Shiver #1 (numbered CDs - fifty only, number 10 of #1 is in the possession of this reviewer), badges and other freebies were available on the night. For those folk who were fans of the fantastic Alex Welsh band, guitar player Mr. Jim Douglas has just written a book about his life on the road with the band. I understand that "Tunes, Tours and Travel-itis" ..... 18 yrs on the road with the Alex Welsh band... is now available from Amazon as a paperback or on Kindle. I'm advised that it's a great read so am looking forward to getting my copy! This is where the blog name came from! Thanks to John Carstairs Hallam for uncovering this gem. Arranged by Vic Schoen who was once married to Kay Starr. Bebop Spoken Here - Charlie Barnet. Yet another CD that I feel privileged to review. I was given this album at the Mary Coughlan concert at Caedmon last week. I had gone there with some trepidation as Mary Coughlan is a sort of ex-folkie so I didn’t know what to expect. What a marvellously powerful performance – I couldn't help but warm to this woman’s strength and enthusiasm, and the CD is no disappointment either. Andre Canniere (tpt); Ivo Neame (pno/acc); Hannes Riepler (gtr); Ryan Trebilcock (bs); Jon Scott (dms). 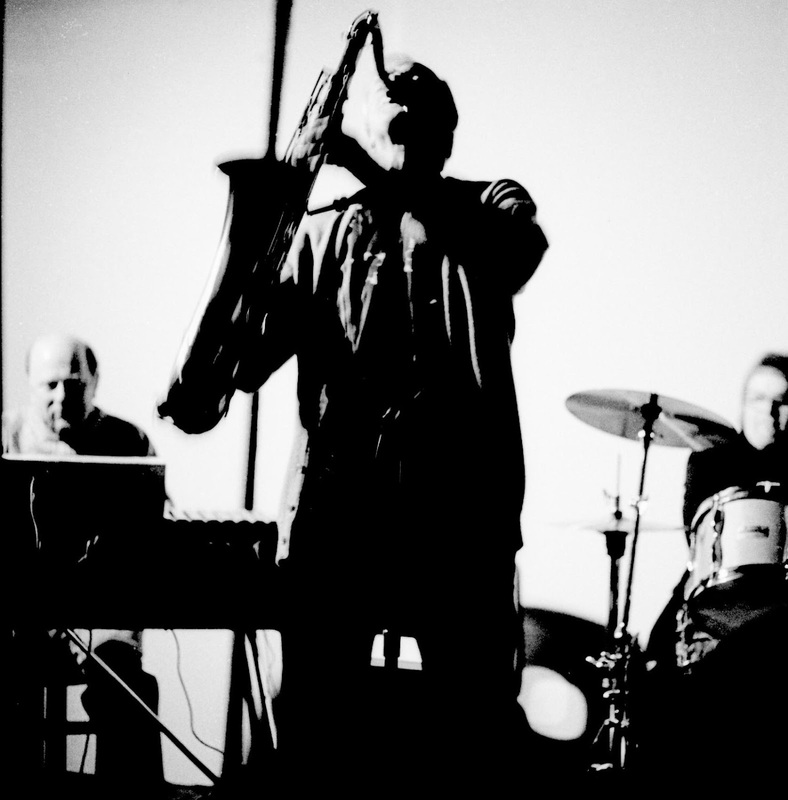 Whirlwind seem to be moving rapidly to the forefront of British jazz labels. In recent months the King's Place epicentre has released a number of releases that may well feature in the Album of the Year scenario for those who are looking beyond yesterday but not quite as far forward as late tomorrow. This is just such a disc. CD Review: Jonathan Silk Big Band with Percy Pursglove - Uncouth. Percy Pursglove, Matt Gough, Mike Adlington (tpt/flg); Nick Dunham, Sam Wooster (tpt); Kieran McLeod, Richard Foote, Rob Anstey, Tom Dunnett (tmb); Mike Fletcher (alt/fl); Chris Maddock (alt/sop); John Fleming, Joe Wright (ten); Colin Mills (bar/bs clt. ); Andy Bunting (pno); Tobie Carpenter (gtr); Nick Jurd (bs); Jonathan Silk (dms/comp/arr). This is not your average 16 (or in this case 17) men swinging style big band but rather a contemporary orchestra. At times, it's a thoughtful, contemplative ensemble. Featuring Percy Pursglove on trumpet and flugel it's difficult not to think of those Miles Davis/Gil Evans' collaborations or maybe Kenny Wheeler or Mike Gibbs. Rich textured harmonies behind Pursglove's cool statements and his puck-like agility on the faster numbers bring those illustrious grandmasters to mind. CD Review: Kevin Coehlo - Turn It Up. Kevin Coelho (Hammond B3); Derek DiCenzo (gtr); Reggie Jackson (dms). It's rare for an 18 year old to have his second CD reviewed in as many years on Bebop Spoken Here but, then again, there aren't that many teenagers who can pedal a B3 like this young man does. His début album Funkengruven--the Art of Driving a B3 was a knock-out and, given that he's had another 2 years to absorb the pearls of wisdom from his mentor Tony Monaco, this one is, not surprisingly, a worthy follow-up. Jamie Cullum @ Sage Gateshead as seen by the Guardian. Jamie Cullum's Friday night gig at Sage Gateshead was reviewed by the Guardian. But why no mention of support act Iceni? This was arguably the biggest night of their career - presumably the Guardian reviewer was propping the bar up. Thanks to LondonJazzNews for bringing the review to the attention of non-Guardian readers. Sarah Travena (Sop Sax); Paul Grainger (Bs Gtr); Alan Law (Piano); Paco Rivera (Congas/Hand Perc. ); Carlos Luis Rivera (Vocals, Timbales/Bongos). The inaugural night of the Havana Club 5 at the Salsa Tapas Bar and Café just blew me away! Spirited Latin and Afro Cuban music combined with delicious tapas and a superb ambience was the recipe for a perfect Saturday evening; the music had me dancing in my seat with a huge grin on my face, and looking around the audience the atmosphere was one of immeasurable enjoyment. Hannabiell & Midnight Blue are back with their annual sell-out Halloween spectacular, with guests invited to get creative and dress retro style with prizes for the best dressed!. Never ones to disappoint, the dynamic ensemble are presenting an evening to be remembered including a stellar line-up which showcases both the North East’s most established and emerging talent; Celebrating the independent artists who populate the City’s vibrant scene and invigorating it further by encouraging musical collaborations. Jazz Café @ The Star and Shadow October 18. The North East Four (NE4), [Paul Gowland (tenor), Ray Truscott (6 string electric bass), Alan Law (piano), Paul Wight (drums)]; Scott Tyrrell (poetry); The Debra Milne Ensemble, [Debra Milne (vocal), Steve Glendinning (guitar), Paul Grainger (double bass), Rob Bates (drums)]; plus a presentation of a teaser segment of Abi Lewis’s forthcoming film ‘The Jazz Man’ about Keith Crombie. Pink Lane Jazz Co-op’s latest big splash event was as interesting and varied as you could wish for, and attracted good numbers despite the weather on a rainy Friday night. The evening began with a presentation, by director Abi Lewis, of a teaser of her forthcoming film about The Jazz Man. The sequence suggested that the finished film is likely to hit an appropriate balance, and should be a fitting tribute to Keith and the venue(s) he created. Abi is looking to raise some additional funds to complete the film to the appropriate standard to be submitted to film festivals, and will be establishing a Kickstarter campaign soon, giving us all the chance to become Executive Producers. Watch this space for your chance to be the new David O. Selznick. Matthew Jacobson: drums, Nick Roth: alto saxophone; Colm O’Hara: trombone; Derek Whyte: electric bass: Ben Davis: cello (4); Kit Downes: keyboards (1, 5); Alex Roth: electric guitar: (6); Alex Bonny: trumpet, electronics (3). Well this one will certainly have those poor unfortunate creatures fleeing the pet shop before the blaze has hardly got under-way. Although inspired by amongst others Thelonious Monk and Charlie Mingus, The I Dig Monk Tuned is an anagram United Kingdom .This Irish palindromically named quartet led by drummer composer Matthew Jacobson is supplemented by the addition of some of the UK’s rising star musicians. 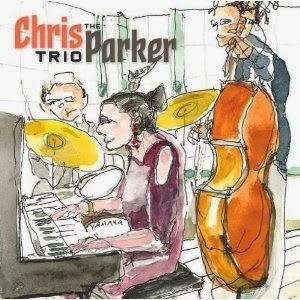 Bill Harper Trio w. Anne DeVere @ The Cherry Tree. Bill Harper (pno); Neil Harland (bs); Adam Sinclair (dms); Anne DeVere (vcl). I would guess that everything Russell wrote about last night's gig at Blaydon applied to tonight's outing at the Cherry Tree. However, tonight wasn't just about reviewing a gig, it was meeting up with a couple of old acquaintances and being pleased to note that they had retained their old magic. Bill Harper is still the master craftsman that he was when backing all those visiting Americans at the Corner House 25/30 years ago. As site regulars will know, Bill's committed his memories to these pages and he tells me there are more instalments to come. Anne, despite not being in the best of health, retains the magnetism that she once wove at the Mayfair and La Dolcé Vita. Bill Harper was house pianist at Blaydon Jazz Club for something like fifteen years before upping sticks with Anne DeVere for the good life in Brittany. This return visit reunited him with guitarist Roly Veitch and they were supported by the first call bass and drums pairing of Neil Harland and Adam Sinclair. Anne DeVere got up to sing a few numbers during the evening, an evening that got under way a few minutes early. A jazz gig starting ahead of the advertised time! Liindsay Hannon (vcl); James Harrison (pno); John Pope (bs); Tom Chapman (dms). A live recording session at the Bridge by Lindsay Hannon Plus was something not to be missed. Having heard Lindsay earlier at Hoochie I knew the girl was in good voice and well worth dragging my tired body the short distance to The Bridge Hotel. By the time I arrived there was already a goodly throng awaiting with bated breath for the recording to begin. Joni Mitchell's The Hissing of the Summer Lawns, The Doors' The Spy, Joni's An Old Fashioned Hat, The End of a Love Affair, Why Try to Change me Now? and So Long Big Time were just some of the tracks laid down by these four superb musicians - yes drummers and singers are musicians too. This is a well coordinated band led by a top singer. Lindsay doesn't play safe but takes chances that always seem to come off. Likewise Harrison, Pope and Chapman - a rhythm section to die for. After the recording session a jam session was afoot but by this time I was flagging so I reluctantly left to be delivered home intact by the number 27. Michael Lamb (leader/tpt); Pete Tanton. Gordon Marshall, Bill Watson (tpts); Mark Ferris, Don Fairley, Mr John Flood, Robert Perry (tmbs); Steve Summers, Nadiah Killick (alt); Paul Gowland, Jamie Toms (ten); Laurie Rangecroft (bar). Marc Jolliffe (pno); Pavel Jedrzejewski (gtr); Michael Whent (bs); Guy Swinton (dms); Lindsay Hannon, James Hedley (vcls). A good crowd and a great band! Caravan kicked things off with some delightful dissonance reminiscent of Kenton's Peanut Vendor followed by One Note at a Time. The sax section in this latter number were an absolute delight - four men and a girl playing as one. Lindsay Hannon revived the old Ella classic A Tisket a Tasket then, after a Buddy Rich number, returned to give us Alright, Ok, you Win, Too Darn Hot and a sensitive Angel Eyes which included a moving solo by Gowland on tenor. Lindsay left after this - she had other fish to fry today as we will discover later. 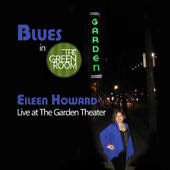 Blues in the Green Room - Eileen Howard Live at the Garden Theatre: Eileen Howard (vcl); Ed Moed (keys); Randy Mather (sax); David Bennett (gtr); Chris Ciampa (bs); The Governor (dms). Street of Dreams: Eileen Howard (vcl); Richard Lopez (pno); Roger Hines (bs); Matt Wagner (dms); Michael Cox (sax/clt). Two CD's from Eileen Howard, a lady unfamiliar to my ears. Paradoxically, Eileen tells me that ten years ago she was in Corbridge with her husband on a tour of the Roman Wall. Ten years ago I could have been cycling in the Corbridge area! who's to say we weren't having lunch in the same pub? If we had I'm sure it would have been Easy to Remember. - a song sung beautifully on the live recording. Both discs have much to recommend them not least because of the choice of tunes but particularly the way Howard deals with them. My reaction to Fever and Black Coffee was to groan - "Not again!" And then I listened! Nothing will replace Peg's versions but, if you'd heard these tracks first then maybe, just maybe the positions would be reversed. Monday Night @ The Cherry Tree. All the above with music by The Bill Harper Trio and Anne DeVere! Today (Saturday 19) Frank Sinatra is profiled on BBC4 (10:55 pm) Frank Sinatra: the Voice of the Century – Arena Special. Earlier on BBC Radio 4 Loose Ends (6:15 pm) includes an appearance by Mary Coughlan. 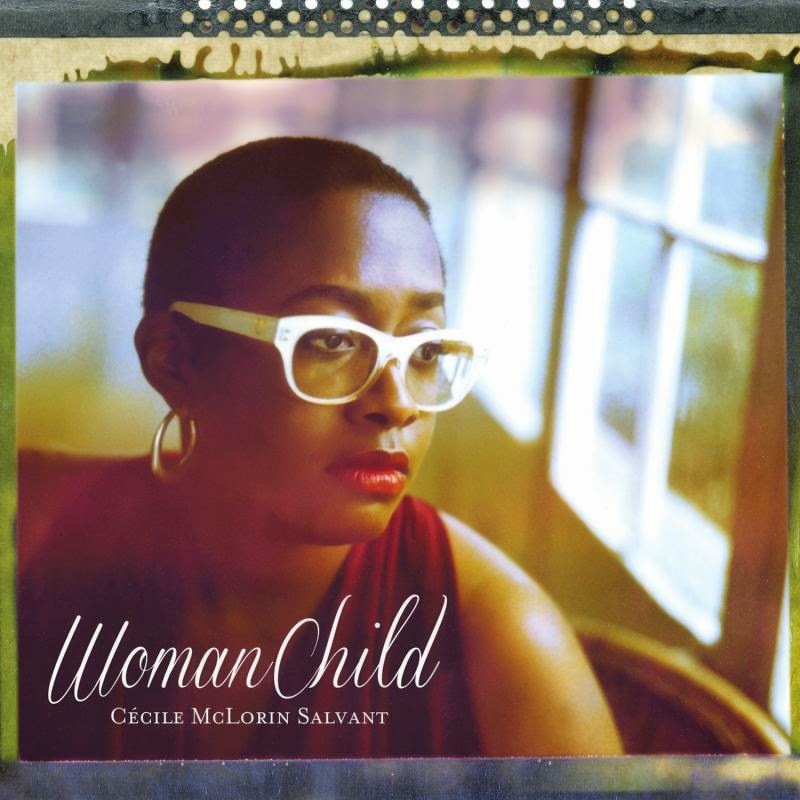 BBC Radio 2 (Tuesday 22), 7:00 pm is essential listening as Jamie Cullum’s programme welcomes Cécile McLorin Salvant . Radio 2 Thursday (10:00 pm) revisits the 1964 television programme Blues and Gospel Train (14 million viewers tuned in) featuring a stellar cast – Muddy Waters, Sonny Terry and Brownie McGee, Sister Rosetta Tharpe, Otis Spann, Willie Smith and others. Fred Wesley and the New JB Horns @ Hoochie Coochie October 19. Fred Wesley (tmb/vcl); Gary Winter (tpt); Philip Whack (ten); Barney McAll (keys); Reggie Ward (gtr); Dwayne Dolphin (bs); Bruce Cox (dms). This was a gig! wall to wall punters digging the soulful funky jazz of this, with the exception of Australian born McAll, all-American combo. And what a coup for Hoochie! The only UK date and then Zurich, Paris, Milan, Austria, Berlin and Brno. In my younger days, I twice ran the Great North Run and cycled 100+ miles on innumerable occasions yet never ever have I felt so exhausted or perspired so much as I did tonight! Not that I was dancing, there was little room for other than a few hip twitches - I thought I'd hit lucky when an adjacent pair of hips and mine made repeated contact - sadly it was another guy! James Birkett & Bradley Johnston @ Lit & Phil. Bradley Johnston first came to the attention of Bebop Spoken Here at Blaydon Jazz Club playing a couple of numbers during the interval with James Birkett. At the time Johnston was about fourteen or fifteen years of age. He made a huge impression then, now, three or four years later, something of a veteran, he continues to win plaudits for his fearless, yet sensitive approach to some challenging material. He has enrolled on the BMus degree programme at Sage Gateshead (his tutor is none other than Dr.J.Birkett) and can be heard gigging around town with Birkett or in the company of his fellow students. Mary Coughlan (vcl); Steve Watts (pno); Jamie Lawson (gtr/vcl); Pauline Murray (gtr/vcl). Mary Coughlan has lived the life, known the pain and came through it as an artist capable of talking about and overcoming her demons and, ultimately, turning them into some of the most heartfelt and impassioned works of art heard in recent years. This was hardly a jazz gig although the sheer depth of emotion displayed evoked the spirit of Billie Holiday and Judy Garland without sounding remotely like either. Coughlan is unique - her own woman - a singer revered the world over who drew a good crowd into Caedmon Hall including some of the few who'd bought tickets for Wednesday night's Darlo gig that was cancelled because of poor ticket sales. No such problem tonight at this Tyneside Irish Festival/Jumpin' Hot Club event, the audience soon filled up the cabaret style set up and when the lady came on for the final set they gobbled up every word from her - blarney and all. Bass player and leader of ACV, Andy Champion, is interviewed in the November issue of Jazzwise - a full page no less! Readers, hurry on down to Fenwick's before they sell out. (Photo courtesy of Pam Young). Advice for jazz singers. Get yourself into Bon Marche in King Street South Shields. I went there for a new coat today. As I tried on garments in the fitting room, what did I hear but the strains of a woman singer doing Night And Day, complete with verse. Then came The Lady Is A Tramp. I couldn’t resist joining in – goodness knows what the assistants thought. Probably a good job there were no other customers. Congratulations to Bon Marche on their choice of corporate music – Frank Sinatra was starting a song as I left, so we need male singers in the fitting rooms as well. Caffe Nero in South Shields is also good on music. There’s sometimes jazz there and also some unusual and classy rock which I’ve never heard anywhere else. Jazz and clothes shopping. What next? Bach in the butchers? Folk in the photographers? Billy Harper Quartet with Anne DeVere. For 15 great years Bill played some wonderful jazz piano every week at Blaydon Jazz Club. He was also first call pianist for 'Jazz North East' concerts, backing top UK, European and American visiting soloists. Bill and his wife, superb jazz singer Anne, are back on Tyneside for a short stay. For this concert they are joined by Neil Harland bass, Adam Sinclair dms and Roly Veitch gtr. Very sad to learn of the death of Tommy Whittle on Monday October 14 - one day after his 87th birthday. One of the UK's greatest ever tenor players he could out-swing just about anyone. He played several times at Blaydon Jazz Club and I remember a memorable gig he did at Live Theatre with the great Polish pocket trumpet player Janusz Carmello. I first heard Tommy Whittle live at the Hopbine, a pub in Wembley, where he ran a Wednesday night jazz club for many years. I've also got a live recording from there with Tubby Hayes - that was quite a night! As well as the Hopbine he had another residency - The Dorchester, talk about contrast! Married to singer Barbara Jay they made a formidable team and our sympathy goes out to Barbara and family. Tommy Whittle will be sadly missed. CD Review: Matt Ridley Trio - Thymos. Matt Ridley (bs); John Turville (pno); George Hart (dms) + Jason Yarde (alt/sop); Attab Haddad (oud); Vasilis Sirikis (perc). Released yesterday (October 14), Thymos is an ambitious undertaking by bassist Ridley, an album blurring the line between genres, fusing the modal and rhythmic elements of Middle-Eastern music with the harmonic complexities of jazz. So the notes tell me and I think they're right. Diane Hubka (vocal/guitar); Anthony Wilson, Mimi Fox, Peter Sprague, Larry Koonse, Barry Zweig, David Eastlee, John Pisano, Ron Eschete, (guitars); Bobby Pierce B3); Jeff D’Angelo, John Leftwich (bass); Kendall Kay, Enzo Tedesco (drums). This album from LA based jazz guitarist & singer Diane Hubka is an assembly of top notch west coast guitarists in a variety of combinations, plus special guest soul/jazz veteran Bobby Pierce on Hammond B-3. The choice of material is eclectic, with some subtly delivered ballads including ‘Never Let Me Go’ and Mancini & Gimbels’ ‘Slow Hot Wind’. CD Review: Brooklyn Jazz Collective - Sketches Volume One. Matt Holman (tpt); Jeremy Udden (alt); Jarrett Chernier (pno); Martin Nevin (bs); Ziv Ravitz (dms). Sketches is a Brooklyn-based collective built around a unique and profoundly simple idea: truly collaborative composition. Before rehearsal each member shares a sketch from his notebook (e.g. any musical fragment, a collection of fragments, an incomplete tune) and another member uses that as the basis for a new composition. The band then rehearse and develop the piece further, making each musical choice together in a completely democratic way. Inherent in each piece is the challenge of blending two distinct musical personalities, yet with an ensemble of strong composers and sensitive performers, the results are as engaging as they are unpredictable - so says the album note. The sad news has only just reached me of the death of sax/clarinet player Eric Clegg who died on September 30. Best remembered as a member of the Phoenix Jazzmen, the Savoy Jazzmen and later with his wife, singer Carole Clegg, in Speakeasy. Although thought of as a New Orleans stylist, the first time I heard Eric was at the Bluebell in Felling where he played an excellent version of Johnny Hodges' Sideways. A fine player who will be sadly missed. PS: In the photo Eric is at the far left of the picture. Special mention of Andy Hudson's boys Harry and Alfie AKA Hudson Taylor whose EP Osea has hit the album charts at No 8 in the UK and No1 in Ireland! PS: Andy Hudson was former Newcastle Big Band leader, Director of various Newcastle Festivals and co-director with George Wein of the Capital FM Jazz Festival in London. Rachael Cohen (alt); Tom Ford (gtr); Calum Gourlay (bs); James Bashford (dms). The disappointment guitar buffs may have felt at the replacement of Phil Robson by Tom Ford was swept away within 32 bars! Young Ford is a comer and his solos were as good as anything I've heard from most guitarists lately. Watch out for this guy.Brilliant as Ford was - and he was - nothing could detract from Rachael Cohen's alto playing. I didn't know much about Onabulé except that the London based Nigerian had sung solo at the wedding of Posh and Becks. Deciding that those iconic figures wouldn't hire crap I decided to check him out. I'm glad I did - it was a cracking night well appreciated by a slightly older than the normal Hoochie crowd. Fronting a six piece band (trumpet, tenor, keys, guitar, bass-guitar and drums) he delivered a soul packed performance. 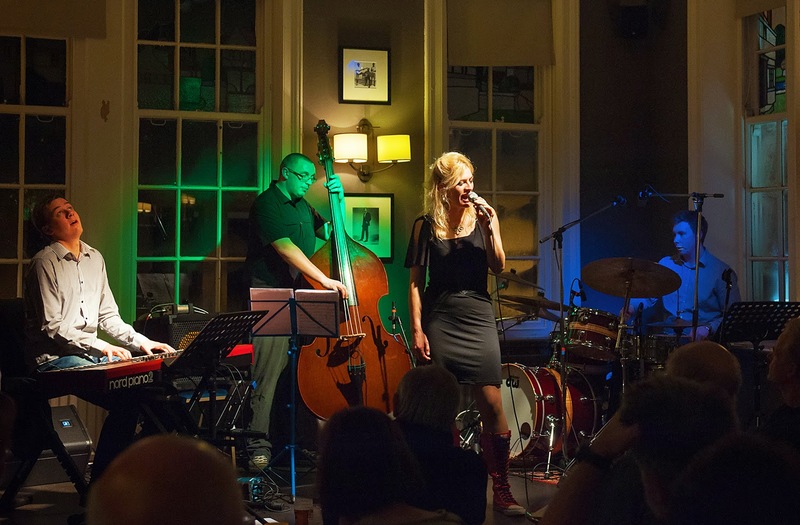 Rendezvous Jazz @ The Black Horse, Monkseaton. All strength to Maureen for putting together such a great afternoon of jazz & the chips with the corned beef and onion toasties weren't bad either! Bebop Spoken Here is like having the old Melody Maker delivered with your morning paper! Is this not the best B side ever of a pop single? - I can't even remember what the A side was! Kill Em At The Hot Club Tonight by Slade. Michael Janisch is an award-winning electric & double bassist. An American based in London, his multitude of talents across the music industry have seen him become one of the most active and in-demand musicians of his generation, as well as a linchpin figure between US & European artists. He has performed with legends such as Quincy Jones, Sir John Dankworth and Lee Konitz and now comes to North Yorkshire to present music from his critically acclaimed album ‘Purpose Built’, one of the most important releases in the UK in the last five years. Roly Veitch / Sue Ferris Trio @ The Gala, Durham. As a lunchtime jazz venue, The Gala is new to me: very new! A big, long room it needed to be with almost all seats taken by an estimated 80-90 people), with bright lights, shiny chrome, and laminate floors. For all the glass and laminate, the acoustics are actually very good and the jazz served up was excellent. Splinter @ The Bridge This Sunday October 13. There's a treat in store for those who want to hear great sax playing at the Bridge, Newcastle, on Sunday night.. I refer to the Rachael Cohen Quartet. Rachael re-located in London from Birmingham and created quite a few waves with her lyrical sax playing and her original compositions. The tour is aimed at promoting the band's debut CD which is, in theory, launched at King's Place tonight. However, Tyler McDiarmid's mixing/mastering studio in New York was broken into and the masters went along with the equipment! He's rushing to get it re-mixed and mastered but hasn't been able to do it in time for the tour. 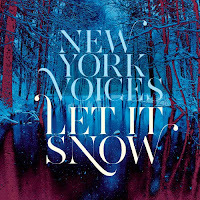 CD Review: New York Voices - Let It Snow. Kim Nazarian,Lauren Kinhan, Darmon Meader, Peter Eldridge (vcl) + big band and strings.. If you're dining at home this Christmas, before you order the duck or the goose have a gander at this CD - it certainly ain't no turkey! 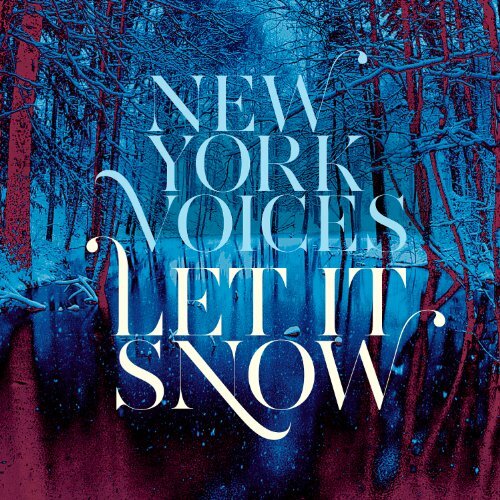 The New York Voices, in my opinion, currently the best vocal ensemble around, have produced a Christmas album that invites comparison with any vocal album of recent years and I don't just mean Yuletide offerings. The North East is preparing for an American invasion of the musical kind to mark the 10th anniversary of the UK’s biggest jazz festival under one roof outside London..
Tickets are now on sale for some of the headliners at Gateshead International Jazz Festival, which brings a whole host of jazz performers together under one roof at Sage Gateshead from Friday 4th - Sunday 6th April 2014. Combining musical performances with opportunities for the public to get involved, the variety of artists and styles mean you don’t have to be a jazz aficionado to have a great time. Ros Rigby, Performance Programme Director at Sage Gateshead, said: “Gateshead International Jazz Festival really is something everyone should experience. The type of music that counts as jazz often surprises people so people who think they are new to the genre are often bigger jazz fans than they first thought! It was raining as David Gray (trombone), Ian Simpson (guitar) and James Robson (bass) launched GIJF 2014. With the towering figure of Earl Grey looking down from atop his monument in Newcastle city centre the trio played beneath umbrellas until the rain stopped, albeit briefly. When the rain started up again they soldiered on sans brollies. Whatever happens at the actual festival in April will be nothing compared to the tenacity of this trio! Imagine playing technically demanding pieces such as Monk's Well You Needn't on trombone in the rain and you've got the picture. Unfortunately I haven't (got the picture)! Not being accustomed to 10:30am gigs I came out without my camera and, in the inclement conditions, my camera phone proved hopelessly inadequate so, unless one of those lovely Sage ladies can come up with a photo we'll have to wait for the Evening Chronicle to provide the graphic images.. The official Press Release will be posted on Bebop Spoken Here 'Round Midnight. In the forefront of the photo is Sage Supremo Ros Rigby holding the 10th anniversary cake celebrating 10 years of GIJFs. CD Review: The Bannau Trio - Point of View. Nia Lynn (voice); Gareth Lochrane (flutes); Ross Stanley (piano) + Norma Winstone. The guiding principle for the Bannau Trio - Bannau, by the way, is Welsh for Beacon - is the freedom to roam with melody, time and texture, to draw on the influences of folk and jazz along with original works. Nia Lynn has a deadpan cool delivery that adapts well to the material, a mix of wordless passages and intelligent phrasing of lyric and melody. Her initial inspiration, Norma Winstone, pops up on one track and similarities can be detected. New Cherry Tree Menu from tonight. David Hinge and Sheila Giles record search. Bill Harper Remembers - Part One. Hexham Jazz Club.. presents..... JAZZMATAZZ . CD Review: Brass Mask - Spy Boy.